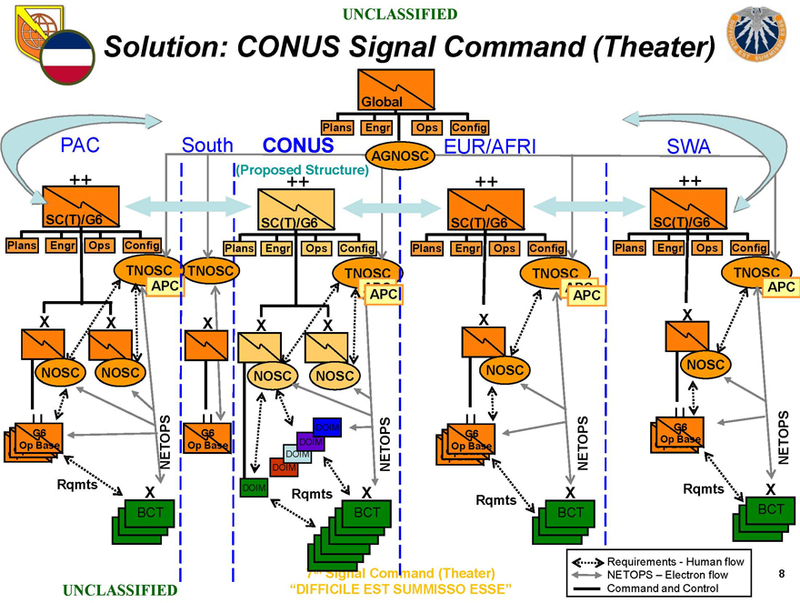 This slide breaks out the Army’s Commands and Agencies in CONUS with connections to the LandWarNet and who require Command, Control, Communications, Computers, and Information Management (C4IM) services – note that IMCOM comprises only a portion of the support requirement. 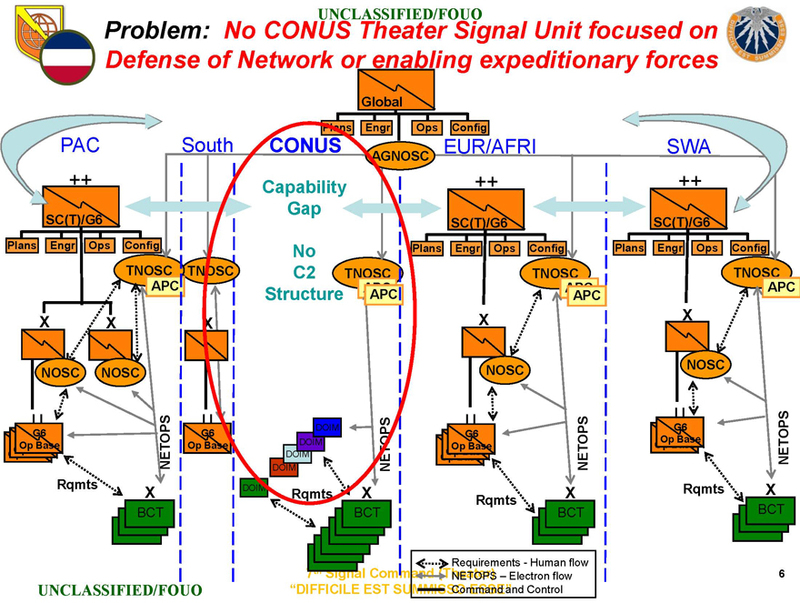 The fundamental issue we were asked to deal with was how to improve the ability of the CONUS LWN to provide assured and available battle command network capabilities – for the maneuver formations located in CONUS, and for reach back ISO of expeditionary operations regardless of type or geographic location. 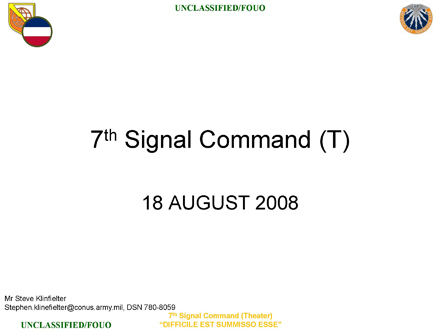 The 447 connections to the Army’s LandWarNet were identified by the C-TNOSC during an Oct 07 data call. 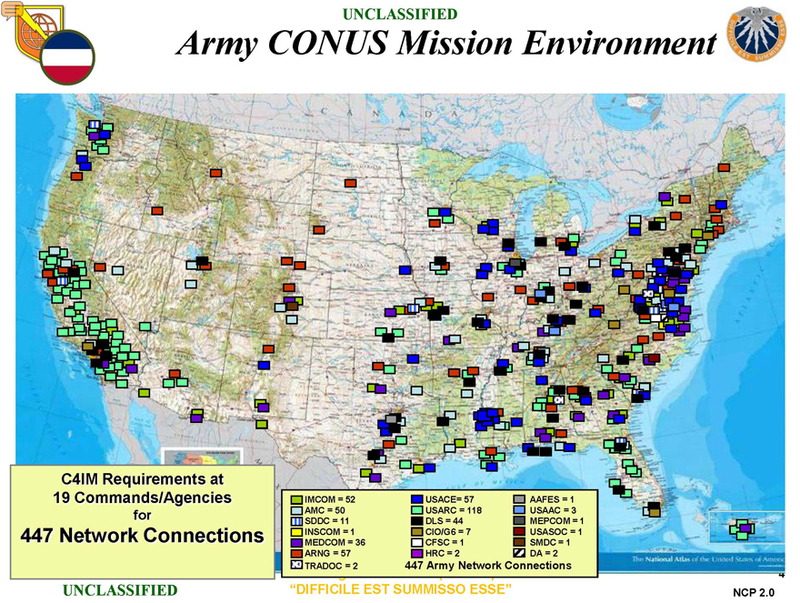 The connections vary from a major DISN-to-Army connection requiring significant bandwidth capability, down to a minor connection for a small single-standing Army facility. 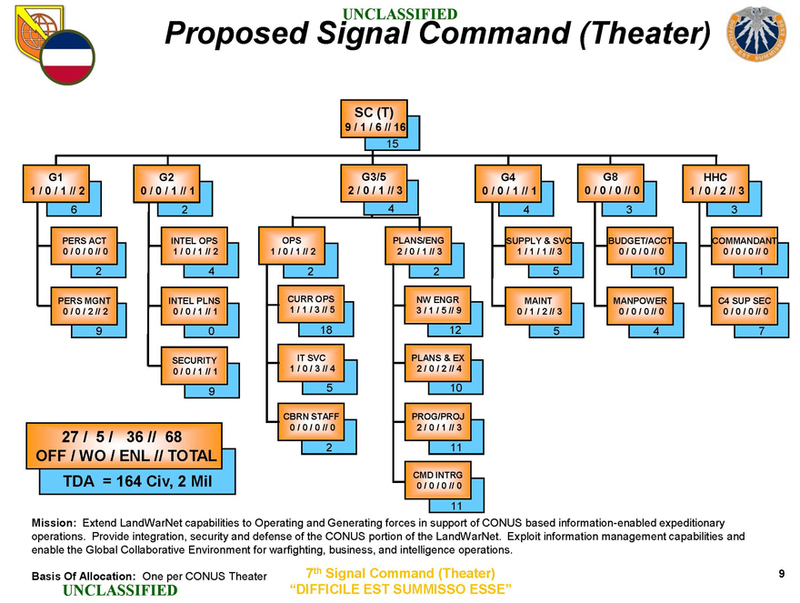 The 447 LWN connections also vary in types and quantities of C4IM services required and delivered to major Army installations compared to the smaller, and often isolated, Army Reserve and Army National Guard facilities. 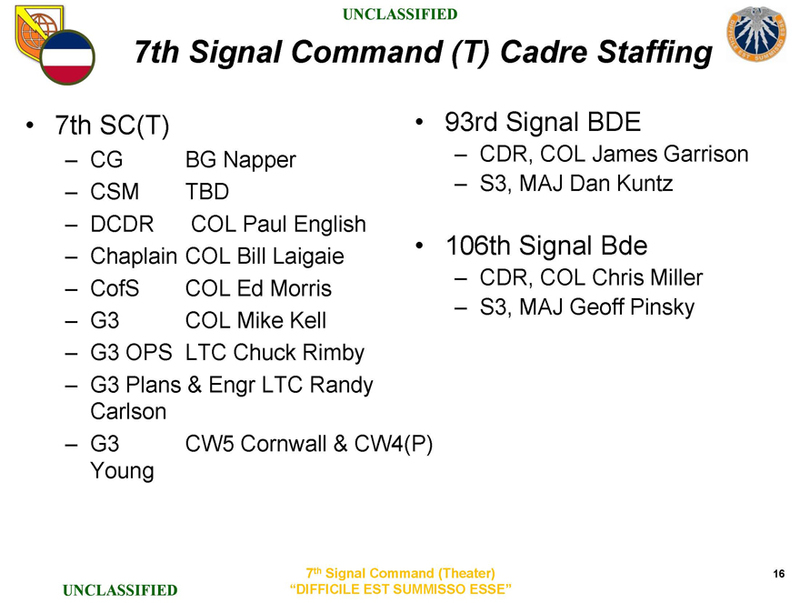 The CIO/G6 currently recognizes 137 DOIMs (Feb 08 listing) in CONUS to support C4IM service requirements.